Security not only consists of protecting yourself from the threat of others but also in keeping you protected from other dangers such as fire. 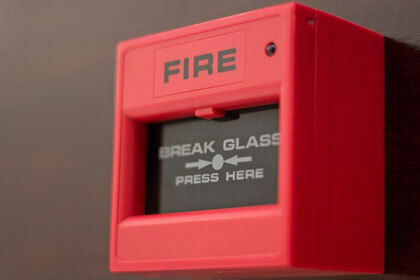 We provide to both homeowners and businesses a fantastic selection of fire protection systems, which includes quality fire alarms in Southend. At Hewes Security we can assist you in discovering any fire risks within your property with a detailed fire risk assessment. With a fire risk assessment we can work out the best fire protection solution for you, which our team of trustworthy security experts will install for you so to ensure the best quality system.